In this whacky world the best jobs go to the worst people. Careers fizzle out at the drop of a hat. To protect next year's budget you've got to waste whatever's left of this year's money. Matrix victims quietly go missing. Companies merge and frequently go bust. And everything's tightly controlled by a secret underworld Finance mafia. Does this sound familiar? You've entered the rough and tumble realm of corporate business where crazy things happen and it's tough to survive. Welcome to the counter-intuitive playground of organizational life. Come along for a white-knuckle ride through our organizational theme park. 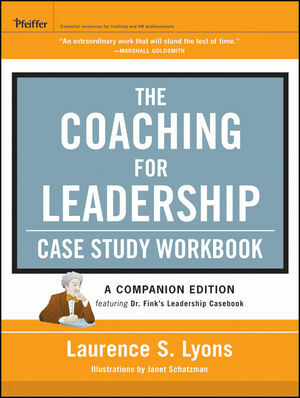 Your companion guide is the streetwise Dr. Fink the world's expert on organizations. Allow this amiable practitioner to share with you the wisdom through which he consistently achieves corporate, client, and personal success as he demonstrates his magical methods for averting calamity before your very eyes. Assisted by a cast of flamboyant charactersincluding Matilda the well-meaning but meticulously incompetent coach, Fat Sid in finance, Adrian his top enforcer, and Mort the undertaker who runs operations into the groundjoin Dr. Fink on an illuminating journey down dark corporate alleyways to get the full low-down on what's really going on. And if after the trip you should ever suspect an impending disaster surfacing in your organizational lifeall you have to do is ask yourself one simple question: What should I ask Dr. Fink?